As a new year is just around the corner, now is the time to sit down and reconsider everything that we have been doing with respect to content creation, marketing and SEO. Now more than ever, the world of SEO is a constantly evolving playing field in which we must stay on our toes if we want to stay ahead of the changes and penalties that sites like Google continue to dole out and implement. Some SEO technique have been solid choices for years, but many have faded away into irrelevance – or have become downright harmful – as algorithms that rank and determine websites’ authority rankings continue to evolve. You may still be holding on to some of these bad tactics and habits; we’ll review a few SEO habits that you need to get rid of now in order to welcome the new year right. In years past, keyword usage in large proportion – commonly referred to as keyword stuffing – was a quick and easy way to improve your SEO prospects, and one that came with few negative connotations. We all remember stumbling across websites several years ago with random variations of keywords tucked away somewhere; in many cases, these pages had little to no content whatsoever, yet they were still prominently featured in search results. 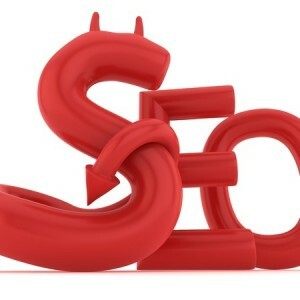 Keyword usage without quality content is a near instantaneous way to destroy your site’s reputation with viewers and with search engines these days, but even combined with quality content, keyword stuffing can be dangerous for your site’s trust and authority rankings. As the nature of SEO now drives us to produce more and more content for the masses, many brands fall victim to the notion of aimless content. What is this, you ask? Aimless content is commonly found on business websites in particular, and is often associated with vague descriptions, buzzwords, keyword stuffing and/or duplicated content. Pinging to Google a series of pages with these negative elements in them will seriously dampen your SEO efforts in the long-term, so be sure to scrap this behavior ASAP. While large amounts of content in order to be successful are increasingly becoming the status quo, remember that the quality of the content is more important than anything else. Otherwise, your readers and search engines alike will judge you harshly. If you are pinging to Google or Bing a ton of content that is aimed precisely at hitting all of their known technical algorithms in perfect fashion, then you might think you are doing everything right. There are two reasons why this is a bad idea. The first is that the nature of algorithms change; after some time, all of your content may be viewed negatively by search engines. What will you do with all of that content (make heavy edits, delete it entirely, or take the penalty)? The second reason why this is a bad idea is due to the human element. People want to read emotional, engaging and informative content that is written for them, and not some automated script. When you fail to address your readers’ desires via too much focus on optimization, no amount of authority or PageRank can save you from a terrible fate.